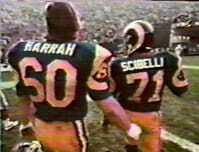 Legends Sports Bar was established in 1979 by former Los Angeles Rams offensive lineman Dennis Harrah and local businessman John Morris. 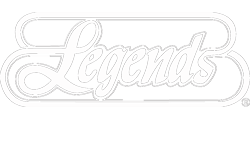 Known throughout the country as “the first modern sports bar in America”, Legends was the first establishment to use satellite technology to broadcast live sporting events from around the world. Legends Sports Bar created an atmosphere where patrons could enjoy great sports broadcasts while surrounded by one of the largest private collections of sports memorabilia in the United States. This environment was unlike anything people had ever experienced; not just a place to go to eat and drink, but a place to go watch the game while enjoying great food and drinks with friends and fellow sports fans alike. Some of the items which have been collected over the years include over 100 authentic autographed baseballs signed by the likes of Ted Williams, Willie Mays, Stan “The Man” Musial, Micky Mantle, Joe DiMaggio, Ty Cobb, & Babe Ruth. 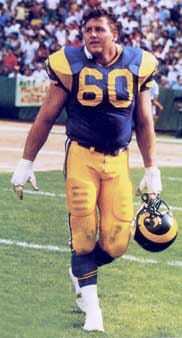 Legends Sports Bar has in its collection, autographed jerseys from the greatest NBA and NFL players of all time. Also represented are unique items such as Shaquile O’neil’s autographed size 23 shoes, a pair of Mohamed Ali’s signed gloves and shorts along with his autographed ring bell from his last fight at Madison Square Garden. Hanging from the ceiling is the 2001 Indy car driven by the great Bobby Rahal. Every major sport is represented in the collection and is on display for patrons to see and enjoy. A tradition since its opening, Legends Sports Bar has its local “Wall of Fame” which pays tribute to our local Long Beach athletes whom have represented this great city and have gone on to play professionally in their respective sports. Legends Sports Bar strives to have the best audio visual equipment to enhance customers’ enjoyment of sporting events, which includes the largest HD quality projection television in the Unites States. We invite you to visit us and see for yourself why Legends Sports Bar is and always will be “the granddaddy of all sports bars”.